Safety must be a consideration when deploying large scale HIT systems and just like other medical devices are tested and supervised to ensure patient safety, EHRs need some form of regulatory oversight. HIT is lacking in usability and cognitive support for clinicians. Both clinicians and usability experts need to be involved in building HIT and extensive research is still needed. Users are not always at fault for mishaps and adverse events. Medicine is a complex field and HIT should reflect that. Paper cannot and should not be completely eliminated. Success of HIT should be measured based on health outcomes, not adoption rates. If you build it, they will not necessarily come unless the benefits accrue to them directly. HIT should be designed for collaboration. Granted this is a very terse summary, but I believe it is sufficient, considering that much of the above has been hashed, rehashed and widely debated since the advent of Meaningful Use in all its glory. Since the article was authored by health informatics folks, the conclusion is that “Foundational cognitive and human factors engineering research and development are essential to better inform HIT development, deployment, and use”. To emphasize the point, the article draws an analogy to aviation and quotes a 1947 article addressing the complexities found in an airplane cockpit and the need to apply “psychological data and research techniques” and “the necessity for designing the machine to suit the inherent characteristics of the human operators”. And the article goes on to remind us that “In the more than 60 years since that publication, commercial aviation has become very safe. While it may not take 60 years for HIT to become as safe, if we do not change from our current course, it never will be”. Here is where I part ways with the JAMIA authors. Guess what else happened in 1947? 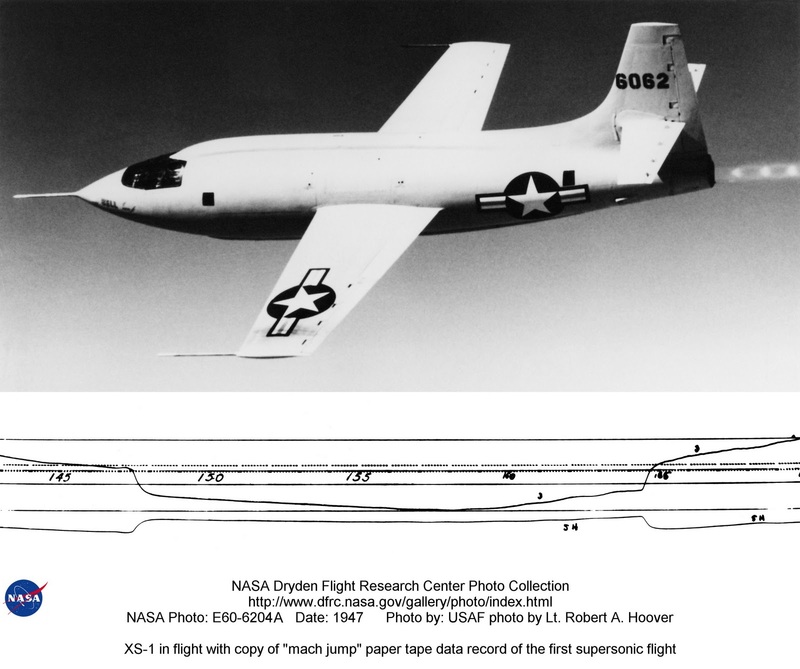 Chuck Yeager piloting his Bell XS-1 recorded a 361 m/s speed and officially broke the Sound Barrier. Less than two years later, the first commercial jet airliner, the British Comet, took to the skies and eleven years, almost to the day, after Captain Yeager’s breakthrough, the Boeing 707, the most enduring jetliner in history, made its first transatlantic service flight. The aviation industry was immersed in a whirlwind of innovation. Computers began their ascent to the clouds during WWII as rudimentary calculators. By the late 1970s, the first “electric jet”, the F-16, came with a completely computerized “fly-by-wire” control system. About the same time, “glass-cockpits” consisting of digital displays began to replace the conventional analog instruments in commercial cockpits. Although the driving reason for glass cockpits was their relative light weight, there were great hopes that computerized displays will increase flight safety and reduce pilot errors. What does all of this have to do with Health IT? It seems currently fashionable to compare health care to aviation. First the checklists of Dr. Gawande and now improved safety as afforded by the introduction of computers. If we are going to make such comparisons and derive lessons learned, perhaps it would behoove us to understand both aviation and health care equally well*. There is no question that flight safety has improved by leaps and bounds in the last 60 years, but this is mostly due to new technologies, new materials and better design tools for building and testing aircraft. In a similar fashion health care has improved in the last 60 years by technology advances, some of which involved computerization, such as CT scans, laparoscopic devices, pharmaceuticals and a myriad of other high-tech “tools and die” for physicians. Many diagnoses that spelled certain death 60 years ago are fully curable, or at least manageable, today. “Not all airplane and avionics designers have considered the pilot-machine interface by using good human factors practices. General aviation needs airplanes that are intuitive to operate, requiring as little training as possible”. 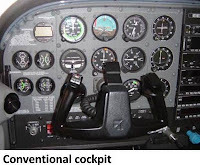 On March 10, 2010, the National Transportation Safety Board (NTSB) published the results of its safety studies regarding glass-cockpits in small aircraft and here are the findings. The statistical analysis found that for 2002–2008, light single-engine aircraft equipped with glass cockpit displays experienced lower total accident rates—but higher fatal accident rates—than the same type of aircraft equipped with conventional analog instrumentation. Accident pilots flying glass cockpit equipped aircraft were found to have higher levels of pilot certification and more total flight experience than those flying conventional aircraft. In addition, the FAA has no specific training requirements for pilots operating glass cockpit-equipped light aircraft. 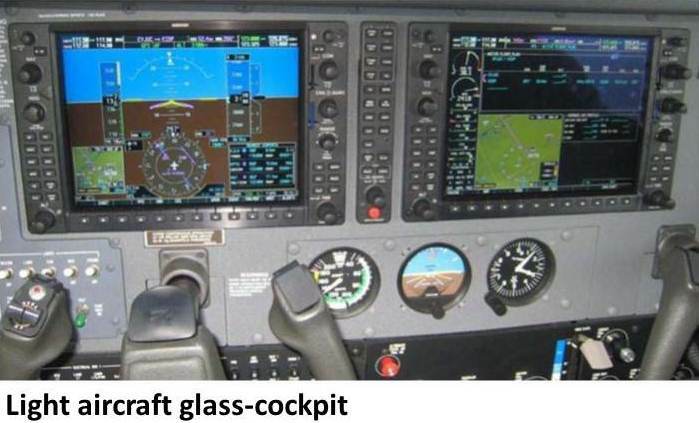 The lack of equipment-specific training requirements from the FAA results in a wide range of initial and recurrent training experiences among pilots of glass cockpit aircraft. With the exception of training provided by airframe manufacturers with the purchase of a new aircraft, pilots must currently seek out and obtain equipment-specific glass cockpit training on their own. The need for pilots to have sufficient equipment-specific knowledge and proficiency to safely operate aircraft equipped with glass cockpit avionics. The need to capture maintenance and operational information in order to assess the reliability of glass cockpit avionics in light aircraft. Sounds familiar? Turns out health care and aviation are in the same boat when it comes to computerized display/records. This is not to say that human-computer interaction and other cognitive studies are not worthwhile, but the results will only be incremental until the final Sound Barrier is broken. Humans and computers must become able to verbally exchange information. Instead of displaying data on a multitude of colored screens and issue flashing warnings and alarms, the computer should just distill all the digital data and say “You have 10 seconds to pull up or you will crash”, and alternatively, “You are prescribing a lethal dose for this patient. Do you wish to continue?” If you find this slightly delusional, just ask Captain James T. Kirk of the Starship Enterprise. *Disclosure: I am an Aeronautical Engineer by education and Health IT professional by personal choice. On October 18 2010, Dr. Blumenthal published a letter to EHR vendors titled "Health IT and Disparities" urging them to “include providers who serve minority communities in their sales and marketing efforts”. Reiterating the assumed benefits of Health IT to both quality of care and efficiency of care delivery, the National Coordinator for Health Information Technology stressed the importance of EHR vendors working together “to provide EHR adoption opportunities for physicians and other healthcare providers working within underserved communities of color”. This is obviously an important and welcome appeal. Physicians who provide care for impoverished minority communities usually lack the means to purchase EHRs and perhaps some EHR vendors will heed Dr. Blumenthal’s request and make special arrangements for these doctors and their clinics. The stimulus incentives may also help. But how about those who serve equally impoverished populations and are practically barred from incentives? In my home State of Missouri there are about 350 Rural Health Clinics (RHC) serving a state which with very few exceptions is one big Medically Underserved Area/Population (MUA/MUP) which is a geographical area or a population designated by the Health Resources and Services Administration (HRSA) as having: too few primary care providers, high infant mortality, high poverty and/or high elderly population. For the uninitiated, RHCs are designated by CMS and have to meet certain requirements. The practice has to be located in a rural area and it has to provide team care, which is all the rage now, meaning that a Nurse Practitioner or a Physician Assistant and a Certified Nurse Midwife have to be on premise and team up with the physician in providing patient care. RHCs can be independent practices or they can be owned by rural hospitals. Either way RHCs are paid by Medicare differently than a practice without RHC designation. RHCs are required to submit reports of their operational costs and their total number of visits. Based on these two parameters the reimbursable cost per visit is calculated by Medicare. The entire process is complex and subject to rules, regulations and caps. The main point here is that RHC providers are not reimbursed according to the regular Medicare physician fee schedule and therefore will be unable to receive EHR incentives under Medicare. A few RHCs may qualify for Medicaid incentives, but in most cases they don’t have the prerequisite 30% Medicaid patients. It all started with the HITECH Act where Medicare incentives to Meaningful Users are calculated based on allowable charges for “covered professional services”, which are defined in Section 1848(k) of the Social Security Act as “services for which payment is made under, or is based on, the fee schedule established under this section”, i.e. RBRVS. RHCs are reimbursed for most services on a cost basis as explained above, effectively barring them from qualifying for meaningful incentive amounts. Several public comments to the CMS NPRM on Meaningful Use addressed this very issue, but all were dismissed in the Final Rule by simply restating that “RHC services furnished by an EP are not considered covered professional services for purposes of the Medicare EHR because they are not billed or paid under the physician fee schedule”. While I do understand the bureaucratic difficulty in differentiating between the RHC Medicare claim form (UB04) and the form used by other practitioners (CMS1500), I don’t quite understand how RHC services are not “covered”. The even more perplexing fact is that CMS went out of its way to incentivize providers practicing in Health Professional Shortage Areas (HPSA) by adding 10% to their Medicare incentives, but at the same time decided to exclude a large portion of those providers just because they are using a different form for submitting claims to Medicare. It is worthwhile remembering that these same clinicians were also excluded from PQRI incentives and later from e-Prescribing incentives for the same exact reason. 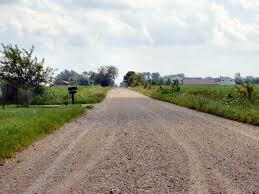 Like most rural providers, RHCs face serious obstacles in Health IT adoption. Health IT vendors find it difficult to reach rural providers and rather expensive to provide them with services mainly due to simple logistics such as distance from airports and lack of physical concentration of customers. Most rural providers are strapped for cash anyway and reliable IT support is not as easily found as in urban areas. In many rural counties broadband is not available and even when it is available, rural hospitals, pharmacies, labs and diagnostics centers are rarely using HIT and are almost never able to exchange clinical information making the immediate value of an EHR unclear. For those RHCs that are owned by rural hospitals the prospects are even less attractive. There is very little reason for the hospital to invest in ambulatory EHRs if no incentives are expected, particularly since more often than not the hospital itself is light years away from having a qualifying inpatient EHR. According to the Kaiser Family Foundation, an average of 21% Medicare beneficiaries reside in rural areas, with 12 States having over 45% rural Medicare residents, many of whom are served by RHCs. In Colorado, for example, the estimates are that 40% of Medicare beneficiaries receive care in an RHC. When you combine all factors, there is a veritable digital abyss forming between elderly Americans residing in the countryside and the rest of us. It’s not too late, and it shouldn’t be too difficult to fix this, but rural America, and its few remaining doctors, need a champion in Washington… Dr. Blumenthal? Last week the American Medical Informatics Association (AMIA) released a position paper titled “Challenges in ethics, safety, best practices, and oversight regarding HIT vendors, their customers, and patients: a report of an AMIA special task force”. The paper shines a bright light on the alleged contracting practices of EHR vendors and their notorious “hold harmless” clauses, which indemnify the EHR vendor from all liability due to software defects, including liability for personal injury and death of patients. What this means in plain English is that if a software “bug” or incompetency caused an adverse event, and if you (or your hospital) are faced with a malpractice suit, the EHR vendor cannot be named a co-defendant in that suit and you cannot turn around and bring suit against the vendor for failure to deliver a properly functioning product. The AMIA paper also asserts the existence of contractual terms preventing users and purchasers from publicly reporting, or even mentioning, software defects, including ones that may endanger patient safety. The AMIA report goes on to challenge the ethics of both buyers and sellers engaging in such contracts, with an emphasis on the EHR vendors’ primary responsibility to shareholders and the bottom line in general. Hold harmless or most often limited liability, for personal injury and death resulting from use of the software. The assertion is frequently made that the software is not intended as a diagnosis and treatment tool and is not a substitute for professional judgment. Many times this clause is accompanied by multiple disclaimers of warranties regarding the accuracy and veracity of the clinical content and decision support provided by the software. The purpose of these terms is to insulate the vendor from malpractice suits. It would be very tempting for a plaintiff, who is usually poor and indebted, to include someone like McKesson or GE in the lawsuit. Juries have even less compassion for corporations than they have for “rich” doctors. The hold harmless clauses, and I have not seen too many, should be removed and the limited liability should be increased from the customary six to twelve months of support fees, to a more significant dollar amount. Restrictions placed on the buyer from mentioning the software product name in any format for advertising, marketing or any other purposes, without written permission from the seller. This clause is ridiculous and I presume that’s where the “gag” rules on defect disclosures come from, since I have never seen an explicit line item to that effect. The rather humorous fact is that the vendor usually reserves the right to use the buyer’s name for publicity and marketing purposes. This particular clause should be completely removed, or at the very least changed to only disallow misrepresentation of the relationship between the buyer and the seller. Most often the software is warrantied to perform according to the product manuals for ninety days, or not at all, and it is never warrantied to be free of defects or work without interruptions. Would you buy a car with a similar warranty? In all fairness, no software vendor can warranty that the product is “bug free”, because there is no such thing as bug free software. However, respectable vendors in the software industry offer Service Level Agreements (SLAs) outlining processes and timelines for addressing reported issues and financial penalties to the vendor for failing to do so. This brings us to the next salient point. Some initial EHR contracts lack any mention of SLAs. There may be descriptions of help desk availability, but no commitments to time frames for resolution and definitely no penalties for non-adherence to SLAs. The buyer must be able to negotiate those into the contract or look elsewhere for software and services. Contracts containing terms as those described above are examples of a typical purveyor of goods and services trying to make a “good deal” and the buyer’s job is to bargain the terms down to what would be a “good deal” for the buyer, with the final result being somewhere in the middle. Ethical considerations would come into play only if the vendor is knowingly proposing to sell goods that will harm patients, and the buyer knowingly agrees to keep this information secret in return for financial concessions from the vendor, and some of the more vocal opponents of HIT would argue that this is indeed the case. But even then, I seriously doubt that such collusion to disregard patients’ safety for pure monetary gain is a result of vendors and their customers not knowing the difference between right and wrong, or lacking a sound education in the realm of Ethics. Nothing short of legislation and regulation will stop this blatantly predatory behavior if it indeed exists, and I doubt it does. I would like to submit that there is indeed a need for education, but of a very different nature. Whether the vendor and purchaser agreed to keep issues secret or not, the bugs or defects that can potentially harm patients are the creation of software developers on the bottom of the corporate totem pole. These are not unethical folks and have nothing to gain from cutting corners and endangering people’s lives. But just like physicians sometimes make mistakes, programmers do too and what is most frustrating here is that they don’t even have to make a mistake in order to create a clear and present danger in the software. These mostly young and healthy professionals know very little about the practice of medicine and in many cases have no overarching understanding of the product they are helping to build. They may be experts at the tiny piece they were tasked to develop, but few if any have a grasp of the dire consequences caused by an incorrectly sorted list of medications, for example. The bigger the shop and the more geographically dispersed, the bigger the problem becomes. It is tempting to argue here that EHRs should be designed and built by clinicians, like VistA supposedly was. While clinicians should have much input in design and particularly in acceptance testing of EHRs, it is not economically (or socially) feasible to have hundreds of MDs sitting in little cubbies, writing code for a living. Instead, EHR vendors should indeed engage in educating their workforce, including the most junior developers, on how medicine is practiced. They need not become expert diagnosticians, but it would be great if medical software developers would be required to take rotations (similar to residents) at implementing and supporting the software, preferably at customer sites, before being allowed to touch the code. Success is brought on by doing the little things right. While there may be some ethically challenged industry captains engaging in questionable contracting practices, the armies of people who do the actual work and create the actual products are by and large capable of telling right from wrong and need no lectures on Ethics. What they need is for someone to compel their employer to invest in their professional education so they are able to do the millions of little things right. 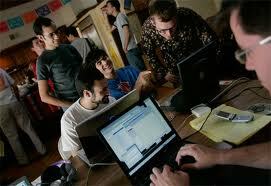 And I have seen enough young software developers to know that they really, really want to learn and do the right thing. Below are several random verbatim (vendor name removed) quotes from EHR vendors’ websites or press releases. 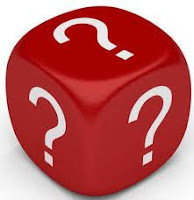 Question: What do the following EHRs have in common? ABCD EHR has earned the distinction of receiving ONC-ATCB certification. ABCD is at the forefront of the effort to help providers across the US to become “meaningful users” of EHR and qualify for $44,000 to $63,750 in federal stimulus dollars. The eligible professionals and hospitals can use this certified EHR technology as part of their criteria to qualify for Center for Medicare and Medicaid Services (CMS) incentive payments. Using our EMR System qualifies you for $44,000 in economic stimulus plan incentives under the HITECH Act. Visit our Stimulus Center. "EFGH-EHR is meeting all of the requirements for 'meaningful use', which means you will be eligible to get your share of the government incentive with EFGH-EHR". JKLM announces that the JKLM EMR has been tested and certified under Drummond Group's Electronic Health Records ONC-ATCB program (ONC-ATCB EHR 1234567890). Drummond Group Inc. is an ONC authorized testing and certification body (ONC-ATCB) that provides meaningful use certification for EHR systems and applications. When a complete EHR system or EHR module(s) is certified by Drummond Group, the eligible providers and hospitals can use this certified EHR technology as part of their criteria for qualifying for Center for Medicare and Medicaid Services (CMS) incentive payments. NOPQ, (www.NOPQ-website.com), one of the nation's top independent medical healthcare information technology companies, has received an EHR module certification deeming the electronic health record (EHR) software capable of enabling providers to meet the Stage 1 meaningful use measures required to qualify for funding under the American Recovery and Reinvestment Act (ARRA). Answer: None of the certified products above, in their current state, will qualify you for Government incentives, since none of these products have been certified as a “Complete EHR”. If you are shopping for an EHR and if you are interested in qualifying for incentives for Meaningful Use, please visit ONC’s listing of certified HIT products at http://onc-chpl.force.com/ehrcert . Once there, make sure that your selected EHR has “Complete EHR” specified in the “Product Classification” column. Anything with “Module” in that column will require that you purchase additional products to qualify for incentives. Make sure that the version you are about to purchase matches the entry in the “Product Version #” column as well. Additional word of advice: Even if the EHR you are considering is certified as “Complete EHR”, ask to see a detailed demo of each one of the 25 Meaningful Use Stage 1 criteria and make sure that all the functionality you are seeing is included in the price you were quoted. As usual, Caveat emptor is the name of the game….. So November 2nd came and went and the GOP has done well and media of every form and shape is trying to predict the fate of health care reform. Uncertainty looms large over the Affordable Care Act, but there is one tiny bit of it that has gathered enough momentum during the last two years to be unstoppable and irreversible. Health Information Technology (HIT) has made it over the tipping point and its dependency on Government support is no more. The skeptics and those opposing HIT in general, will be pointing out that if the new-and-improved Government finds a way to reverse the flow of billions of dollars initiated by the HITECH act, all activities will come to a grinding halt. No more Meaningful Use and no more State HIE and no more RECs evangelizing for adoption of EHRs and, most importantly, no more cash incentives for physicians to buy those pesky EHRs. Surely all health care providers will turn back to their voluminous paper charts with a sigh of relief and a gleeful “I told you so”. And perhaps some will, but not many and not for very long. With or without Government involvement, the health care fundamentals remain unchanged. Health care is too expensive for most Americans and anyone selling health care services will have to find a way to manage costs down if they are to stay in business. Hospitals and large systems have recently made astronomic investments in HIT. These cannot be ripped out and written off as easily as one may imagine. The logical path for these large providers is to compensate for potential loss of incentives by finding other returns for their investments. Perhaps CPOE and reporting of convoluted quality measures will be taking a backseat to measuring efficiency and cost-effectiveness. Since keeping folks healthy in the first place seems cheaper than managing diseases and complications, perhaps longitudinal health management and coordination of services will become a major priority. To keep profitability up in a market where most people are non-consumers (the GOP way), or a highly regulated low-margins market (the Democrats way), health care providers will be competing for every bit of market share through mergers and consolidations and the creation of Networks. And Networks are powered by HIT. The Medical Society of Delaware was founded when George Washington was President. Last week, the Society announced the creation of a statewide Network connecting all its members to Delaware patients. Every Delaware resident is provided with free access to a Personal Health Record (PHR) supplied by RelayHealth and in collaboration with LabCorp, Delaware physicians will be sharing lab results with their patients and each other. Delaware is also home to the first operational State Network (2007), the Delaware Health Information Network (DHIN), which connects over 60% of Delaware’s physicians with hospitals, labs and patients and provides a variety of clinical information exchange. Michigan is kicking off its brand new statewide Network as well. The Physicians’ Organization of West Michigan (POWM) in collaboration with the University of Michigan Health System is creating the Physicians Organization of Michigan (POM), thus “allowing independent physicians to stay independent, rather than at the behest of a large hospital system”. POM is combining resources from two very large organizations to provide physicians and physician groups across Michigan with “access to resources, opportunities and support that will allow them to remain independent while adapting to the new health care environment”. This of course includes “access to shared technology systems and a framework for measuring and improving the quality of the care they provide”. On the vendor side, eClinicalWorks (eCW) unveiled its 100millionpatients.com Patient Portal to complement the Peer-to-Peer (P2P) community Network spanning all eCW users, and to some degree practices that are not eCW customers. Within the eCW P2P Network, physicians can exchange referrals (summaries, results and all sorts of documents), schedules and demographics, with a click of a button. The new PHR will presumably give patients similar cross Network access. And then, there is Surescripts, with its Network of over 150,000 prescribers, 85% of pharmacies and 65% of patients. Recently Surescripts decided to expand beyond prescriptions and make its Network available for exchange of a wider variety of clinical information. This is a national Network and judging by its current practices, Surescripts will be offering a completely open and standards based Network to all HIT vendors, and their customers, wishing to connect and exchange clinical information. Another prominent Network operator, NaviNet, has recently announced its intent to embed a fully certified EHR in its largely administrative Network of hundreds of thousands of providers. There are many more such Networks being created, extended and deployed all over the country. What do all these Networks have in common? They are not supported by Government funds. These are private investments in clinical information exchange. Most of these Networks can afford to provide connectivity to both patients and providers for nominal prices, or completely free, since their revenues will be coming from secondary sources, such as referrals, payers, pharmacies and data mining. If the financial HITECH fountainhead is shut off by the new realities in Washington (not very likely), or throttled back somewhat (probably), these market driven Networks will be only minimally affected. HIT is here to stay. For all those who are skeptical or downright opposed to HIT, please look back at each and single technology in use today and understand that technology only moves in one direction: forward.